Adelphi staff turned out in numbers to witness the recent solar eclipse. 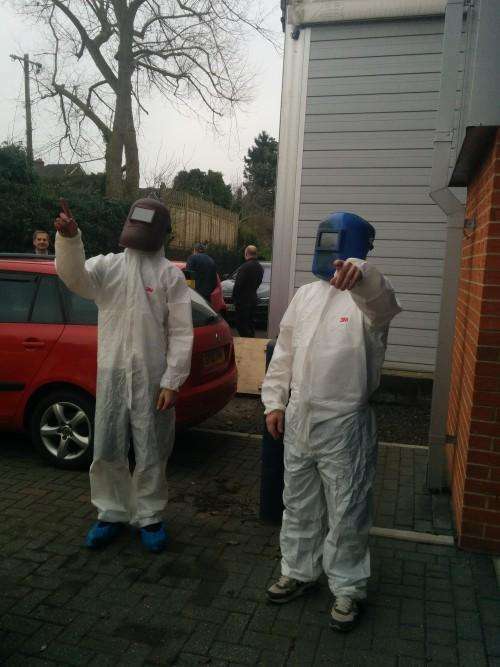 As the sky turned progressively darker shades of grey, two of our Workshop Technicians were taking no chances and by the time the eclipse was at it’s most ‘impressive’ they could barely see their own hands, let alone the sky above them. Fortunately for them, the eclipse was far from the awe inspiring event that we were expecting, instead we were treated to five minutes during which it felt like a dull winters day and some birds nodded off in the trees around us. Only another 75 years to wait until the next solar powered adrenalin rush! We hope our customers around the globe got a better view.